Between housework, extra-curricular activities, errands, work, kids and restless nights, it is easy to forget the importance of our health and fitness, but with National Women’s Health & Fitness Day approaching on September 26th it is time to get back on track. There are many skincare and health-focused products available that you can easily integrate into your daily routine. Even if you have a hectic schedule. Check out this lineup and put you first this Fall season. They say health comes first – so protect even those more discreet areas. 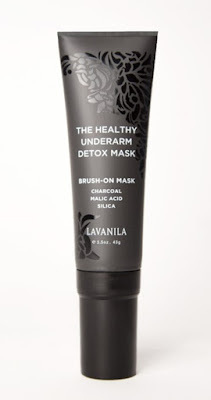 Mask your underarm (yes, underarm) with the LAVANILA Healthy Underarm Detox Mask ($26). This one-of-its-kind mask helps remove unwanted chemical and impure build up, which is especially important when making the switch to a natural deodorant. This targeted underarm treatment effectively detoxifies the area with a combo of Active Charcoal, Malic Acid, and Silica which uniquely bind to dirt, bacteria, aluminum and excess oils trapped in the skin and like a magnet work to draw them out. BONUS: It is mess-free and features a soft brush applicator. 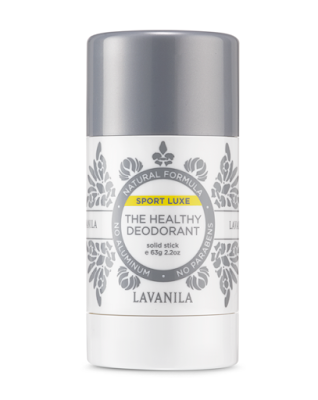 Perfect for a life in motion - the LAVANILA Healthy Deodorant, Sport Luxe ($14) allows you to get active. The award-winning, aluminum-free deodorant is an effective odor protectant. Bursting with breezy freshness, the invisible solid formula is infused with proprietary SmartSport Technology to break down sweat molecules and deliver high performance. Offering all-natural odor protection, get outside (or hit the gym) with confidence. Get your daily dose of collagen with the IMAGE Skincare YANA daily collagen shots ($99) - as beauty starts from within. YANA is a highly concentrated liquid beauty supplement powered by Lumiplex technology. YANA benefits vital skin functions like collagen synthesis, moisture retention, and free radical defense. It is formulated with bioactive collagen peptides shown to increase firmness, reduce wrinkle depth and restore hydration, along with ceramides, antioxidants, and vitamins that contribute to skin’s youthful, healthy appearance. YANA can be consumed alone or mixed into your favorite juice or smoothie and is free of GMOs, sugar, gluten, dairy, and soy. Only have 60 seconds? No problem. Treat yourself to healthier looking skin. Infused with natural charcoal, the Bioré Charcoal Self Heating One Minute Mask ($7.99 for 4 masks) opens pores and draws out and dissolves 2.5 times more dirt, oil, and surface toxins than a basic cleanser. It finishes with a cooling sensation for tingly-smooth skin in just one minute. Mix this charcoal face mask with water to increase heating action by 2x. Talk about turning up the heat. Available at all mass retailers and drug stores nationwide. Calling all fitness gurus…are you too suffering from dry, cracked skin on your hands and feet? 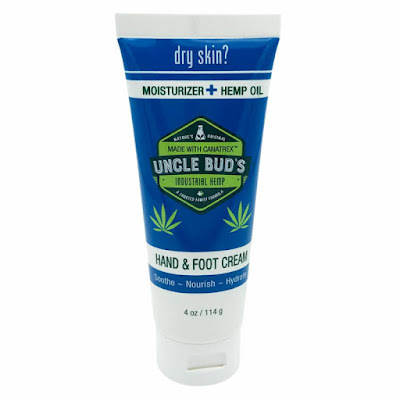 Don’t let this hamper your next workout – try Uncle Bud’s Hemp Healthy Hand & Foot Cream ($15.99). This is the ideal solution to combat uncomfortable, dehydrated skin, as it is a powerful, fast-absorbing cream specially formulated with restorative moisturizing ingredients including hemp seed oil. Available for purchase from Amazon, GNC, and Walmart. 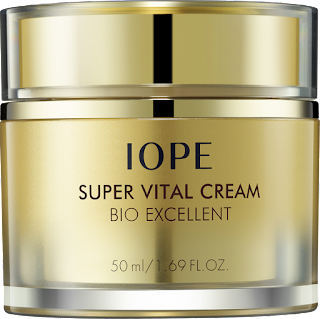 Give your skin a boost of elasticity for an even healthier appearance with the use of IOPE Super Vital Cream Bio Excellent ($100). The anti-aging cream promotes strength and firmness while reducing the appearance of fine lines and wrinkles. Formulated with Bio-seletinoid to correct all signs of aging, the cream increases elasticity and brightens skin for a more radiant and healthy look. Additionally, it contains BIO Glycan technology, a compound that increases skin density and supports natural collagen production.